Well, this is something of a treat. Although still relatively young in years, Italian born singer Celeste is already a seasoned artist. Her first gigs were at the age of 12 and now, almost 10 years later, her poise and artistry are well established. She has performed around both Europe and Brazil and her first album "+18", released in the second half of 2017, won her a number of excellent reviews and has gone some considerable way to establishing this enormously talented artist as an international performer of note. The album itself contains all original material written by Celeste and her Italian collaborators, but the gig this evening will also feature Celeste's other great love, Brazilian music. 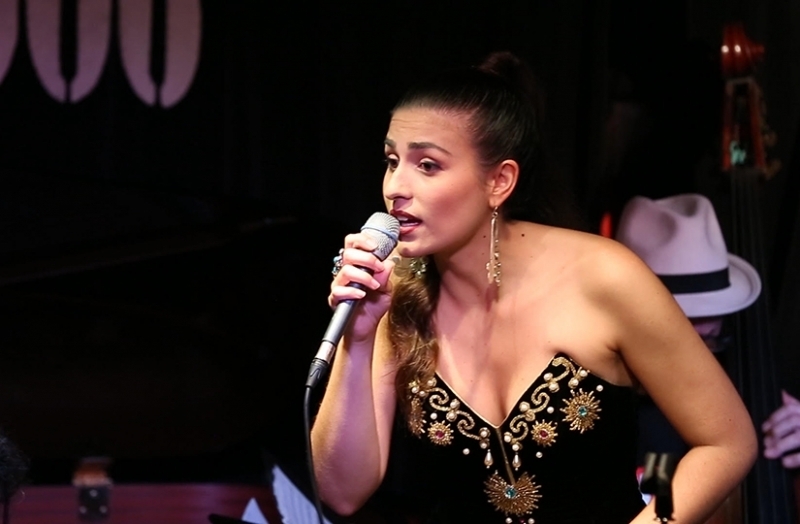 The repertoire will primarily be classic Brazilian songs from the likes of Tom Jobim, Vinicius de Moraes, João Gilberto and Caetano Veloso along with the occasional high quality original found on her debut record. As she likes to describe it "explore the seducing complexities of Jobim's and de Moraes's compositions, glide through Caetano Veloso's mind-blowing lyrics and music on Elis Regina's power and charm". Accompanying Celeste this evening will be an international band of John Crawford-piano (UK), Matheus Nova-bass (Brazil), drummer Uccio Gaeta (Italy) and Anselmo Netto-percussion (Brazil). Highly recommended.